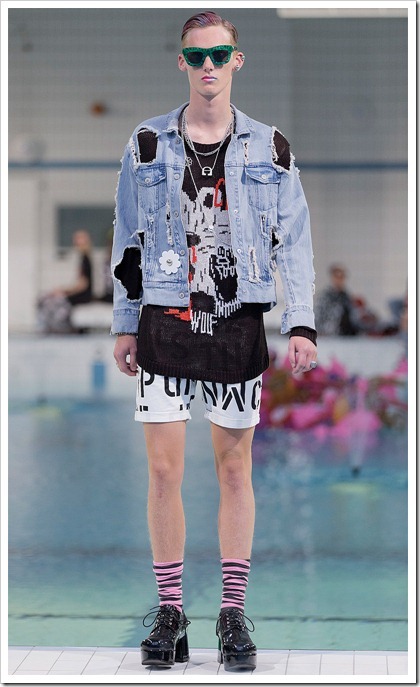 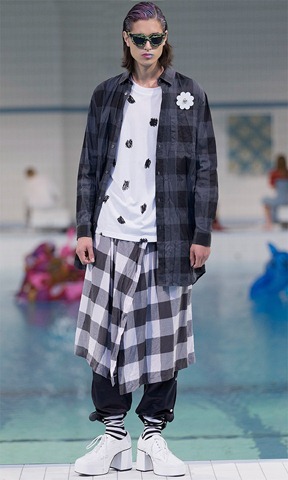 Alternative grunge looks , punk elements , huge prints are some of the key features of Cheap Monday SS’15 Collection. 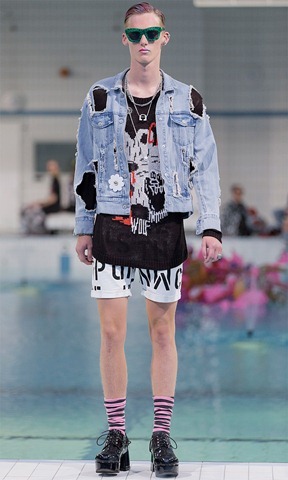 Already famous for their experimentation with denim, the brand pushes the envelope further with some flashy punkish elements . 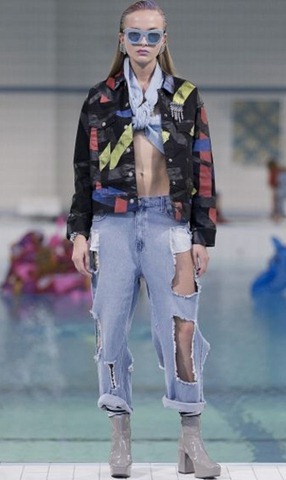 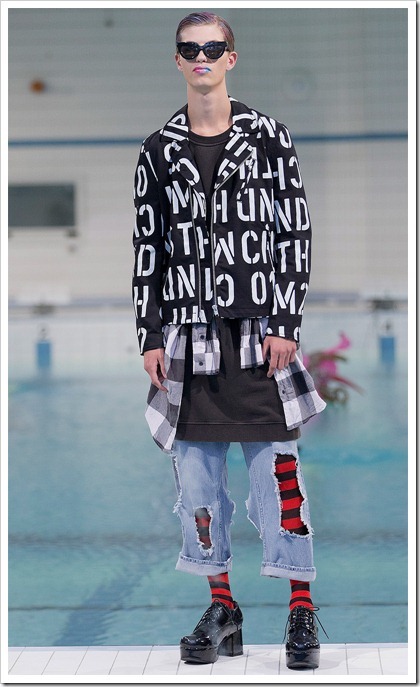 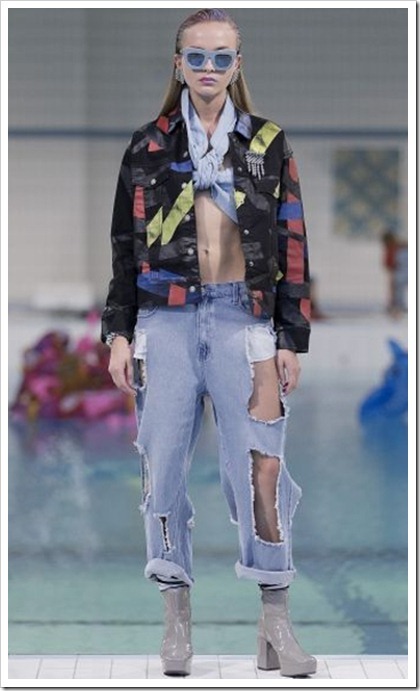 The missing denim fabric is some of their pieces takes distressing and tears to another level. 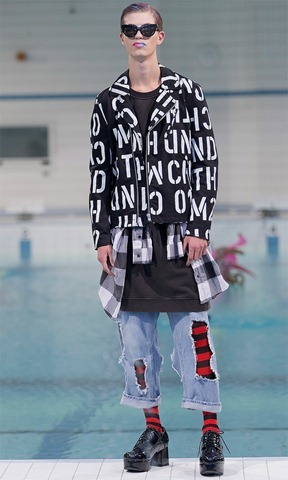 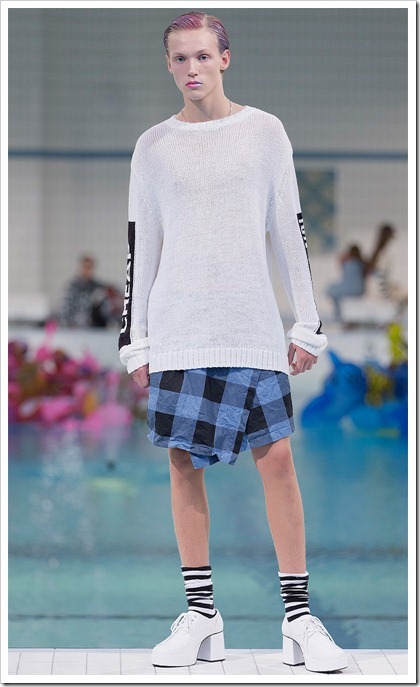 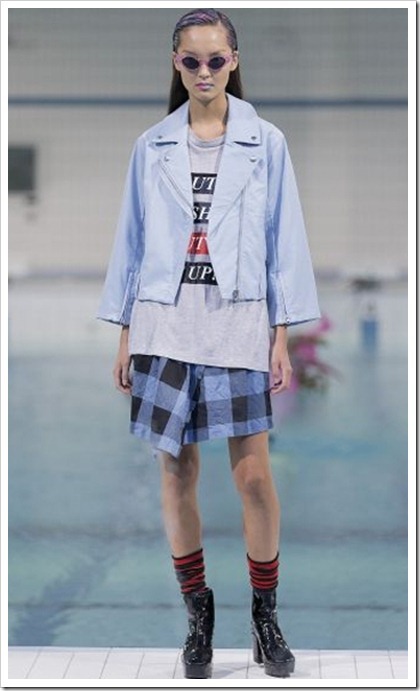 Grunge looks are accentuated using rips, dyes, striped socks , etchings, scribbles and more. 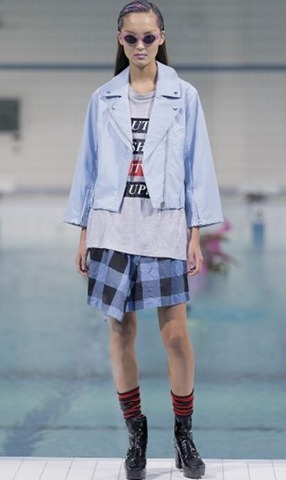 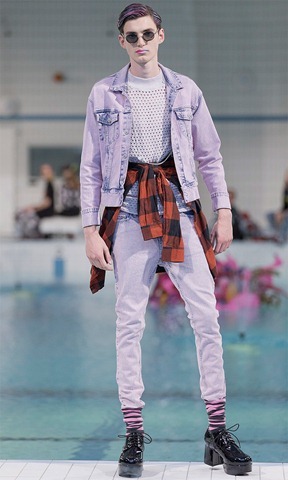 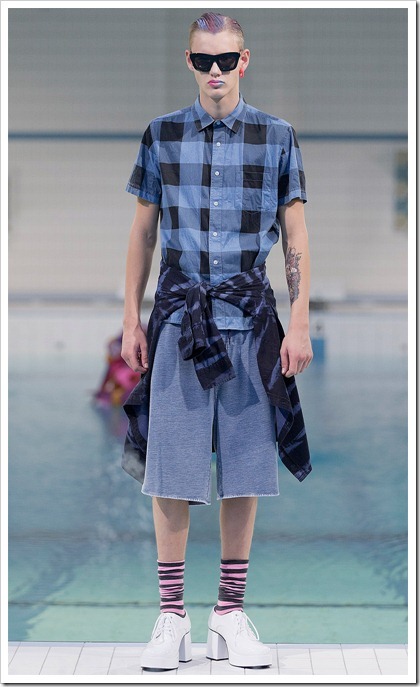 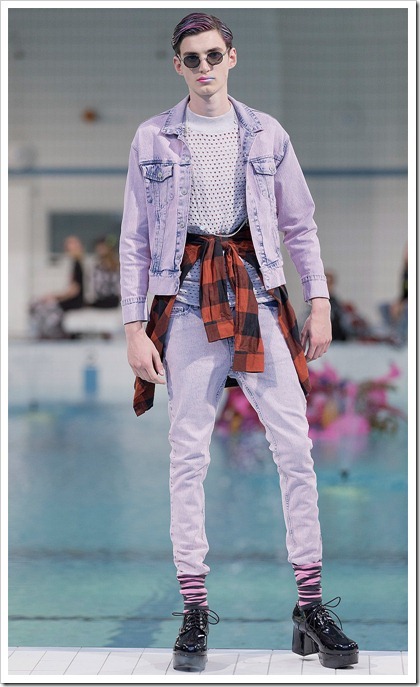 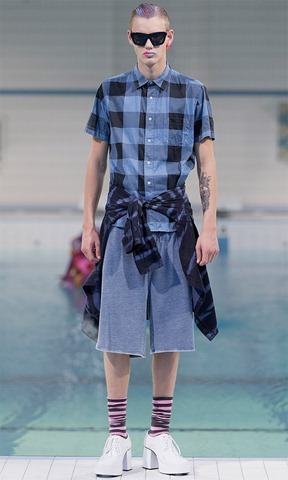 Indigo checks is something new that we see in their denim shirting collection. 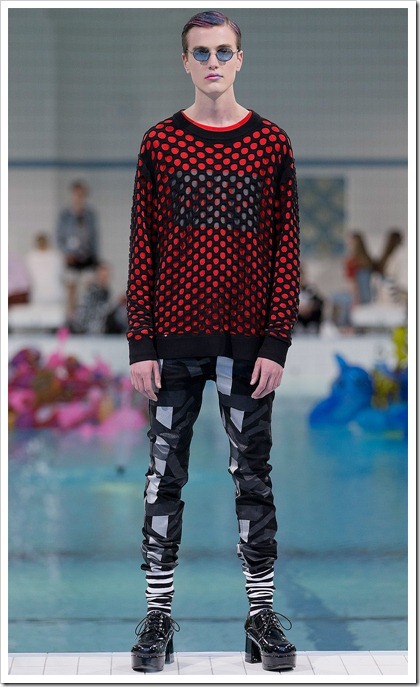 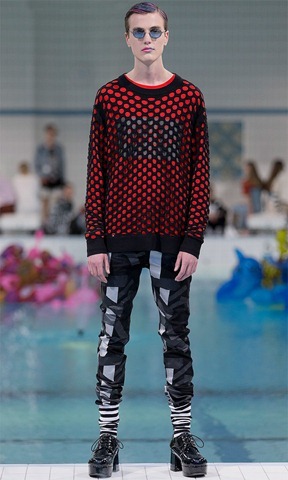 Net enmeshed skinny jeans is another look which might be considered by many as punkish oddity.